This recipe uses only four ingredients to create a heavenly after-meal treat. Mix all-purpose cream and milk. Spread a portion on top of graham crackers. 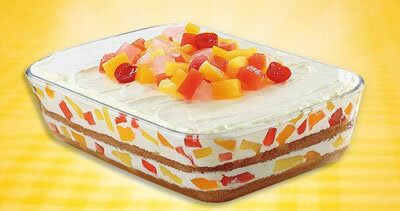 Arrange a portion of DEL MONTE Fiesta Fruit Cocktail over cream. Repeat layering using the remaining graham, cream mixture and fruits. Optional: Crush remaining graham crackers and sprinkle on top.